Early this year, Sprint announced the LG Lotus Elite, a newer iteration of last year’s LG Lotus. With a stunning read coat, a large QWERTY keyboard, and two displays, it’s sure to turn more than just a few heads. As consumers are making the jump to smartphones, let’s see if this phone has enough to bang for the buck to keep people interested. The most noticeable change from the LG Lotus is the color and the larger display. 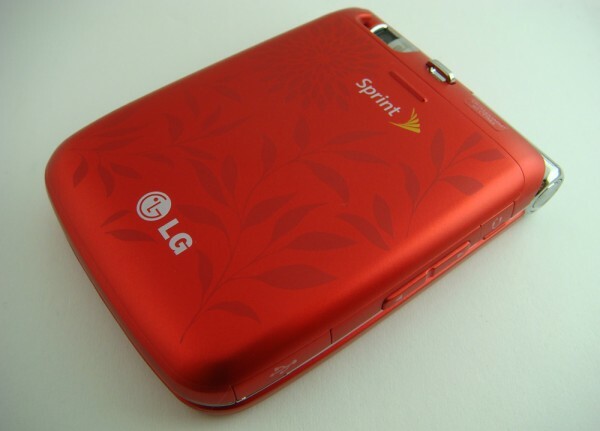 This time around, there’s no longer a purple finish, but rather an eye-catching metalic red. Sprint also offers a more subtle model with a black coat. The overall size of this phone is comparable to the Samsung Reclaim, which we reviewed a few months ago. It’s compact enough to stow in a purse or pocket without too much bulk. The external display on the Lotus Elite now features touch screen capabilities. While still somewhat limited, the external screen lets users check calls, preview photos, and perform other quick tasks. There’s also a swivel camera on the hinge, making it easy to take self-portraits and snap photos. There is a large d-pad with a dedicated Call and End keys on the left and right. 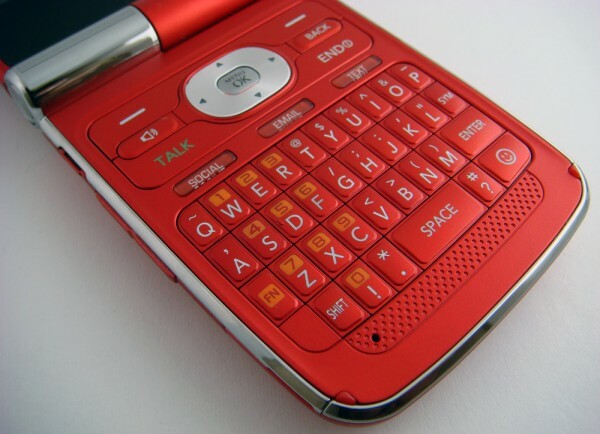 There are also keys for accessing Social networks, Email, and Text messages above the QWERTY keyboard. (I’ll focus on the keyboard later in the review.) On the left side of the Elite, there’s a headphone jack, volume control, and USB/Power port. The Lotus Elite unfortunately lacks a traditional 3.55mm headphone jack which most new phones now offer. 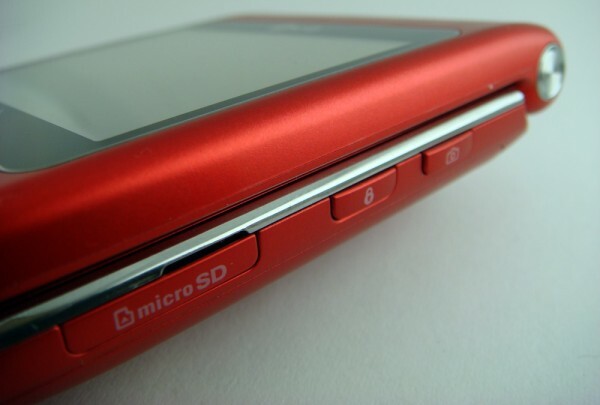 On the right side you’ll find a key dedicated for the camera, a key to lock/unlock the external display, as well as the microSD slot, which is capable of supporting up to 32GB expandable memory. The Lotus Elite has major improvements over its predecessor as it replaces a dysfunctional display with larger touch screen display. Both the external and internal displays feature a 320×240 pixel resolution, while only the external display is a touch enabled. The display utilizes resistive technology instead of a capacitive screen such as the one on the iPhone. It is not nearly as responsive. 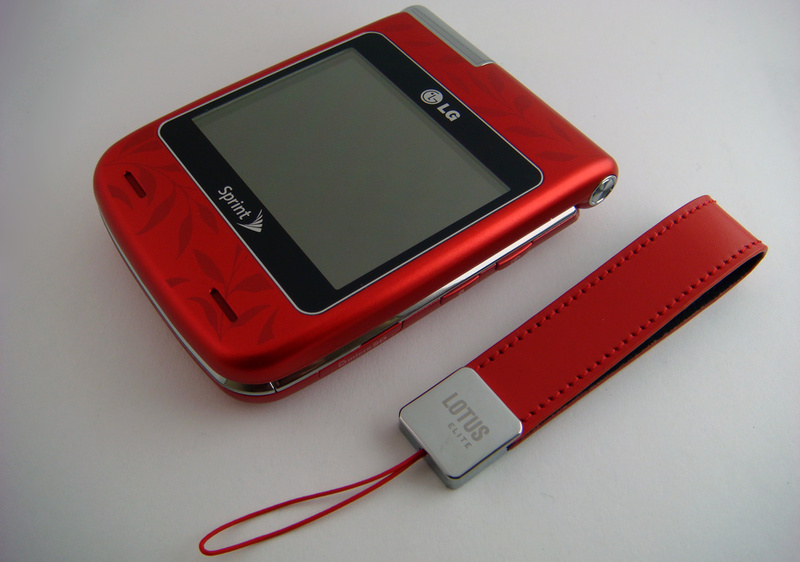 The external screen displays notifications such as missed calls, texts, and voicemail. The displays are definitely not on par with those featured on a smartphone, but it’s probably as good as it gets for phone in this price range. With the brightness turned up a decent amount, the display was clearly visible even under direct sunlight. Text rendered fairly crisply and images were colorful. It doesn’t have any of the bells and whistles of a smartphone such as proximity sensor, ambient light, or accelerometer but it takes full advantage of the space allocated. The navigation of the OS on the Lotus Elite quite similar to the Samsung Reclaim. It operates on a simple click-through menu called the “Carousel”. With this menu you can cycle through the available apps while having the option to add extra apps or “tiles” to the carousel menu. It’s intuitive, clean, and, most importantly, it works. The Elite’s OS supports several apps to enhance productivity. The OS has an alarm clock, a calendar, a calculator, a notepad, a world clock, and a stop watch to list a few. Most menus and interface pages loaded quite quickly without any further lag. 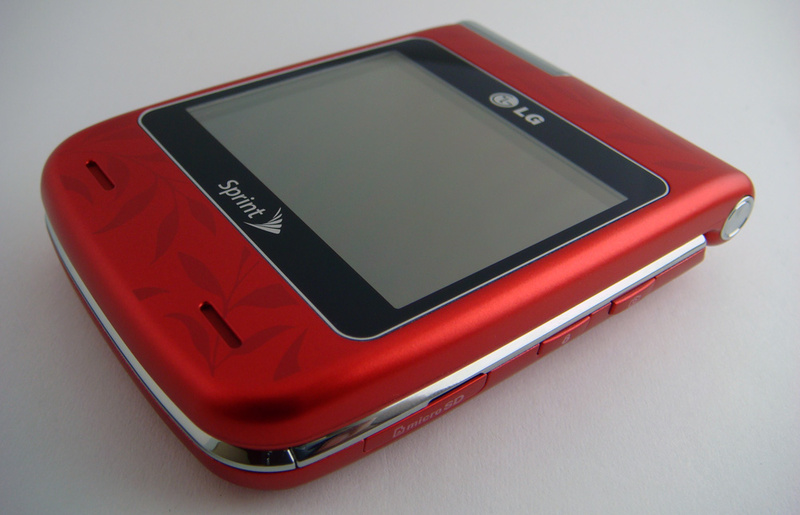 There’s also neat features built-in such as the Sprint TV service, which actually worked very well. Only a few of the apps actually worked on the external display, most are limited to the internal screen. The LG Lotus Elite sports a 2.0 megapixel camera that can snap images up to a max resolution of 1600-by-1200 pixels. The unique positioning of the camera lens makes it rotate with the display. When flipped open, the camera is front-facing, making it great for self-portraits. When flipped closed, the external screen becomes a viewfinder for snapping photos. The camera offers simple customizations including the ability to adjust the color tone, resolution, and even enable a auto-timer. The imaging quality wasn’t particularly impressive, but on par with most devices in this price range. Images are at least clear enough to tag and upload to social networks such as Facebook, Twitter, and MySpace. If social networks aren’t your thing, the phone also allows sharing images by MMS and email. There’s also always the ability to transfer files to your PC with a USB cable or by popping the microSD card into a card reader. The Lotus Elite offers a number of valuable multimedia tools. The music player isn’t particularly impressive, but functional enough. Graphically, it’s not as visually striking as some other apps you’ll find on today’s smartphones. There is no display of album art, but it makes up for this with charming interfaces and seamless integration to Sprint’s Music Store. Searching for popular songs on the online store is quick and easy. There’s support for MP3, AAC, AAC+, and MP4A. 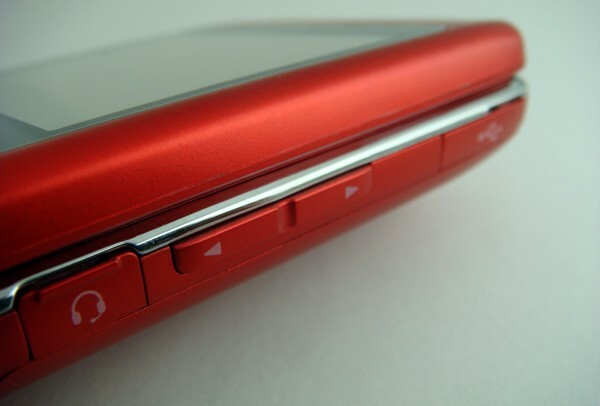 If it had a standard 3.5mm headphone jack, it could have very well replaced a cheap media player. As for storage, since it supports up to 32GB microSD cards, there’s plenty room for music. Audio through the speakers are also quite loud and clear. It’s sometimes nice to leave it on in the background when using Sprint TV or radio. A valuable inclusion on the Sprint Lotus Elite is Sprint’s very own GPS navigation tool. The Sprint Navigation app works wonders for this smartphone. It’s actually included within the ‘Everything Data’ plans. The app features voice and onscreen directions, automatic reroutes, 2D and 3D moving maps, and route previews. I had the opportunity to try the app on my Elite and it was very a quick and responsive ordeal. I found the local 7-Eleven in seconds. I routed and it brought up directions within a minute. Sprint’s Navigation goes a long ways especially for a built-in phone app, but if you were perhaps keen on more accuracy or are a heavy driver, it might be safe to invest into a dedicated GPS device. Calls made with this phone had good sound quality. Both ends of the line came in clear and signal strength in the area (tested in Davis, CA) remained relatively strong. LG claims 5.9 Hours of talk time. As expected, the standby time on this particular type of smart phone was very long at around 16 days. That’s a lot more than most smartphones. Texting is an effortless affair. The messages display in the thread view, which makes referencing old messages easy. 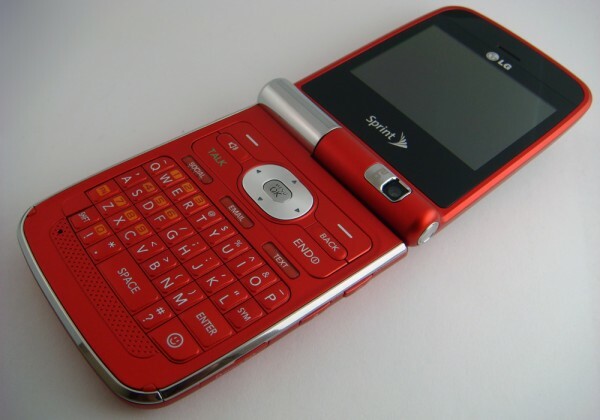 Email on this phone is a well build with support for a number of email providers including AOL, Hotmail, Yahoo Mail, and Gmail, plus other POP or IMAP servers through Sprint Mail. The size of the QWERTY keyboard is definitely a plus to the LG Lotus Elite. I’m glad that LG opted to throw in a full keyboard instead of settling for a alphanumeric keypad. The keys are not spaced out enough, but are not too difficult to use. They have enough of a click-feel making it comfortable. Typing text messages, updating statuses, or even short email responses aren’t an issue. There’s also a directional keypad for navigating the menus and a few other buttons. The Sprint Lotus LG Elite may not be a smartphone, but it still has a lot to offer for those on a budget. With a neat clam shell design, attractive finish, a full QWERTY keyboard, a touch screen external interface, and even a navigator, there’s a lot it can do. Even small inclusions such as the rotating camera for self-portraits is a welcome addition. While services such as Sprint TV do cost extra, it’s an option. The package contents included charger, SD card adaptor, adjustable leather strap, AC adapter, and documentation. If you want an affordable phone that is great for texting, this very well should be on your radar. Editor’s Note: This article was co-written by Jordan Zhang, a former Skatter Tech reporter. OMG, i want this phone so badly!! Where can I buy it?? And how much does is cost?? Plz, tell me!!! I want this phone more than anything!